The far-left group, who have taken money from left-wing billionaire George Soros’ Open Society Foundations in the past, announced that they would be severing ties with Mr Love, who has been investigated for anti-Semitism in what is just the latest anti-Semitism scandal for the Labour Party. Love is accused of writing various anti-Semitic posts on Facebook, such as labelling former prime minister Tony Blair “Jewish to the core” and claiming he was under the “protection” of the Rothschild banking family. “It was not about anti-Semitism, it was about capitalism – my words were twisted,” Love, who has since resigned from his position as an organiser for the Portsmouth branch of Momentum, told Portsmouth News. “The comments Ian Love looks to have made are offensive and appalling, and I’ve emailed him directly to tell him that. I also told him that we don’t want him associated with HOPE not hate in any way, or involved in any of our activities. 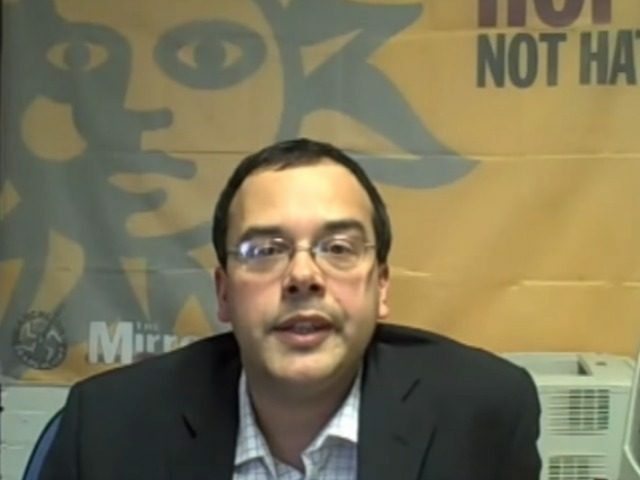 I’ve banned him from our email list,” admitted HOPE not Hate boss Nick Lowles. Anti-Semitism within the Labour Party under party leader Jeremy Corbyn has become a focal issue, with Corbyn himself showing his support for an anti-Semitic mural last month. The prevalence of anti-Semitism within the party has also been noticed overseas, with the Israeli Labour party announcing earlier this month that they would be severing ties with their British counterpart. HOPE not Hate, which has been described by their former spin doctor as using “underhand, unscrupulous tactics,” also came under fire last weekend after they published the location of a private conference held by the British branch of Generation Identity. Following the publication, several far-left extremist Antifa accounts on social media published the conference location and masked extremists later arrived in the area and engaged in violence. One member of the extremist organisation was arrested by police following the attack.